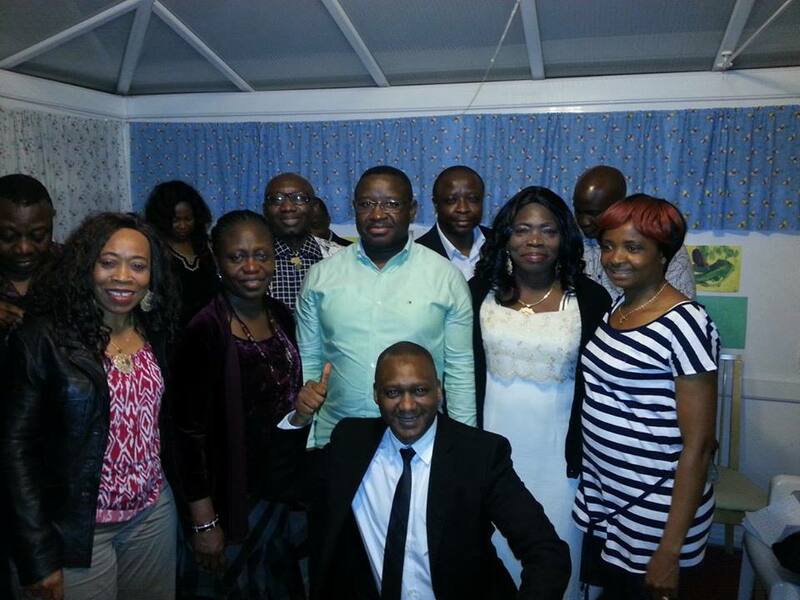 The former head of state of the Republic of Sierra Leone and 2012 Presidential Candidate of the SLPP – Retired Brigadier Julius Maada Bio, met members of the Kono District Development Association (KDDA) in London last Saturday, 10th May. The meeting was convivial, though thought provoking. 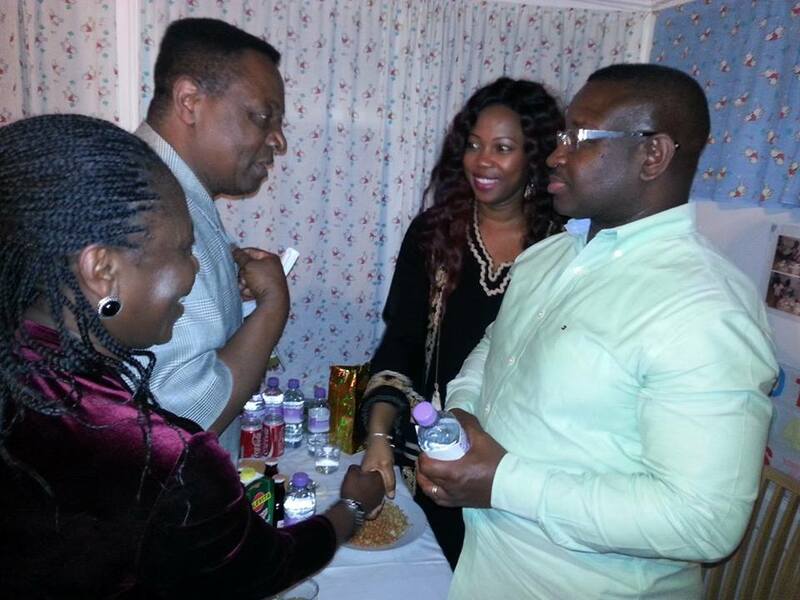 The chairman of the KDDA (London) – Dr. Kai Ngegba, welcomed Maada Bio, and told him that he was very impressed to see him associating with members of the Kono Community in London, which demonstrates Bio’s respect for tribal diversity in Sierra Leone. Dr. Kai Ngegba talked about KDDA, which he said stands for togetherness, helping one another and ensuring that they promote the interests of Kono District. He emphasised that the organisation is not a political association, as their individual members belong to different political parties. He said that each time a very important national politician visits London, KDDA will make an effort to engage with them to discuss issues affecting Kono district. 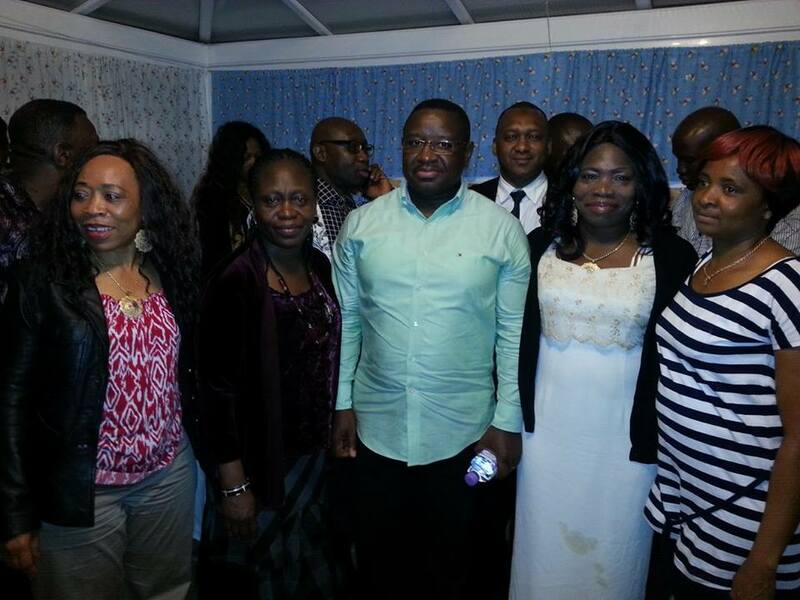 Addressing the members of the KDDA (London), Julius Maada Bio said that he was humbled to meet the group, not only as fellow Sierra Leoneans, but also as their in-law. His wife hailed from Kono. He told them that as a Sierra Leonean, any organisation that is geared towards development – whether at district level or the country as a whole, will receive his fullest attention. He said that it is a privilege talking to people from different ethnic groups and regions, about what can be done to help develop the country. He told the KDDA members that, as a country we need people who will always put the needs of the country above personal interests. “The Konos are one of the most educated people in Sierra Leone. Kono has been a bread basket of our country. Therefore, Kono District has both the human capacity and resources, not only to contribute to national development, but also to transform the district, and meeting the aspirations of all Kono people. What Kono district needs for a start is to be united, and not allow politics to divide them as a people” he added. During the questions and answers session, Tamba Gbamo, asked Julius Maada Bio what he has in mind for the Kono people. In response, Maada Bio underscored that he was not there on a political campaign, but that his vision for Kono district, like every other district, is to make sure they have tangible developments, including; good roads, electricity, good schools and hospitals. He told them that Kono district, apart from its mineral resources, also has fertile land which can be used for large scale agricultural development, which ordinary Kono people can immensely benefit from. Because of the rich history of Kono and its world prominence in terms of mineral resources, Kono district can also be a good location for tourist attraction, says Bio. He also advised the members of KDDA that as descendants of Kono district, they should come together so that they can develop a blueprint, which reflects the development aspirations of the district. This should then be used to engage all presidential candidates in future. “For me I have got the benefit of hindsight in leading the country, and if I am elected by my party as the Presidential Candidate, I will be more than willing to engage the people of Kono district on what we can do to transform Kono”, Julius Maada Bio told the KDDA members. An emotional Mrs. Sia Jaward told Maada Bio that there are no good roads in Kono, no good Schools, no electricity, no development, and that all the politicians have failed the people of Kono, and have abused the district. She said that she has lost faith in politicians. Also, many other members expressed their disappointment regarding the poor quality of representation they have received from some senior Kono members of the present APC government, as well as their elected parliamentarians. Several other members vented their frustration about mining activities in Kono – especially Kimberlite mining, which many Kono people believe to have destroyed their land. There is anger that lands are being taken away from local people, without proper compensation, and that innocent people have been killed with impunity. On the issue of poor representation in the government and parliament by their fellow Kono people, Julius Maada Bio acknowledged that their concerns are legitimate. But he said that there is not much he can do now, so he advised them to continue to engage with the government and their parliamentarians, until such time when they will assert their democratic right to choose who will represent their best interest – both in Government and Parliament. The elder brother of the Vice President of Sierra Leone – Sam Sumana, Mr. T.D Sam Sumana was also present at the meeting. He praised Julius Maada Bio, and referred to him as a true democrat. But Mr. Sam Sumana asked Bio whether, and if he becomes President of Sierra Leone, he will try to extend his term of office beyond the constitutionally mandated two terms. 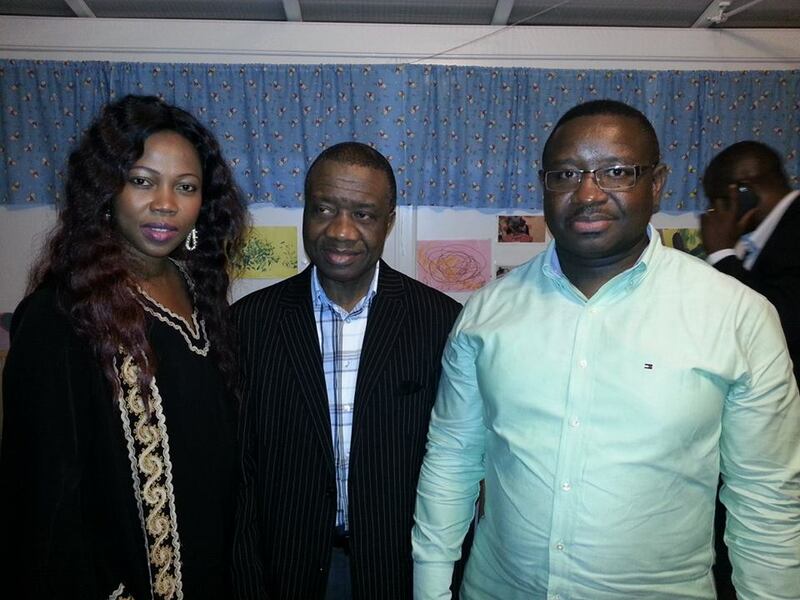 In response, Julius Maada Bio said: “I will never manipulate our constitution for a third term. “It is insulting to all of us as a people, and it puts our country in a bad light internationally. “Manipulating our constitution is an attempt to break the legal bond with the people. A member of KDDA – Mr. Tamba Gborie, who was also very impressed with Bio’s response to the range of issues discussed, praised Maada Bio. But he enquired about SLPP’s ability to engage with minority ethnic groups, as the party has been accused of tribalism. 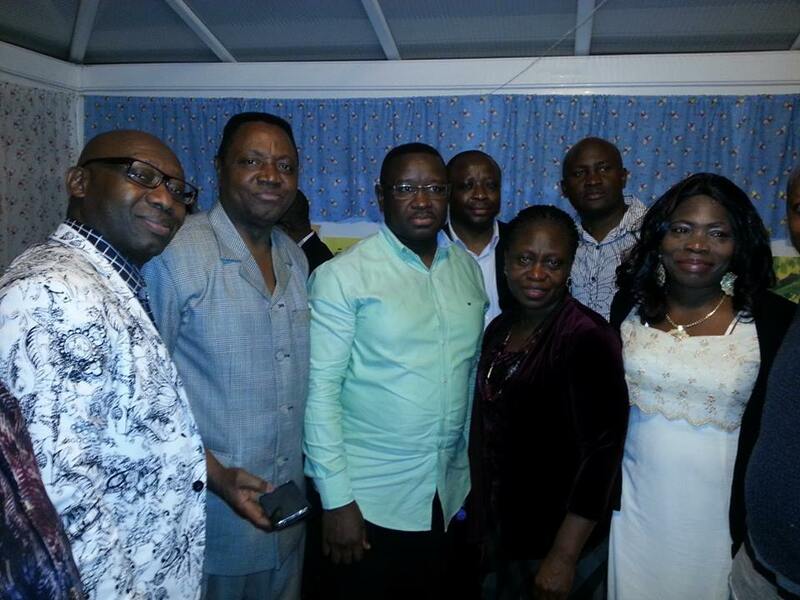 Defending the SLPP, Julius Maada Bio said that the SLPP is the most tribally accommodating party in Sierra Leone, as reflected in its motto: ‘one people one country’. Bio said that as evidence of this, it is a fact that the National Chairman of the party is a Temne from the north of the country, whilst other senior executive members belong to other ethnic groups. He also said that many distinguished Kono people have served the SLPP party, and others continue to serve the party with admirable commitment. Bio added that the SLPP is like a family; whether you are a member of a minority group or not, and whatever region you come from, you will always have the opportunity to fulfil your potential and make your contribution to national development. Mrs. Saffa of the KDDA spoke of her grievances with the Kimberlite mining companies in the district. She said that she was not properly compensated for her land. Concluding the meeting, Madam Sia Komba gave thanks to Julius Maada Bio for meeting the group, and re-echoed a formal invitation by the Chairman of KDDA, that they will be very pleased to once again receive Maada Bio at another KDDA meeting. The meeting was also attended by the Secretary General of KDDA – Aiah Yornie Sodengbe, along with several other executive members, and the wife of Julius Maada Bio – Fatima Maada Bio. 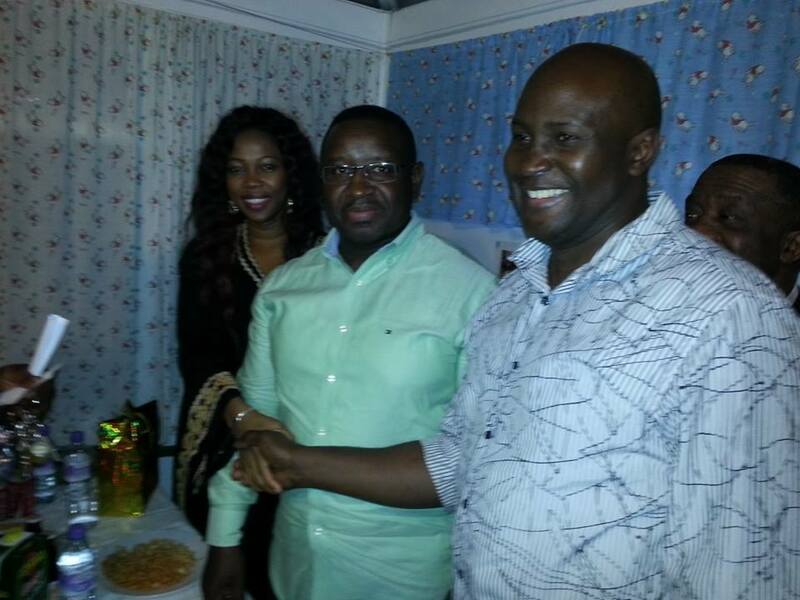 The wife of the KDDA Chairman presented a gift to Julius Maada Bio, which was thankfully received by his wife Fatima.